William York was born on the 23rd May 1862 at 69 Cumberland Street, Milton, Glasgow. His Mother was Anne Macgregor, the second daughter of John Macgregor of Finnart and Margaret Fleming. His father was James York, a building contractor and the brother of John Macgregor of Finnart's second wife Margaret York. Between this time and July 1863 the family moved to 51 Union Street, Greenock. Prior to October 1865 the family moved to number 53. By 1876 they were living at Number 56. James York had by now become a harbour contractor. Presumably building the docks that were being constructed at the time, in 1881 he was employing 80 people. In 1881, William was staying with his aunt Margaret York Macgregor at 3 Park Street West, Glasgow, also living there were Janet and William York Macgregor. Presumably he was studying in Glasgow at the time. It is not clear when William Yorke changed his name from York to Yorke between 1881 and 1891. There is a story of a York family rift that caused the change. He Qualified as a Physician on the 11th of May 1888. He qualified in Edinburgh (Licentiate, Royal College of Physicians and Licentiate Royal College of Surgeons) and at Glasgow University (L.M. and Licentiate Facility Physical Surgery) and acted as a medical referee for the Canada Assurance Company and the Mutual New York Assurance Company. The Odd Fellows and other Friendly Societies also used his services as a referee. He served as the House Physician at the Greenock Infirmary and Fever Hospital. Later he moved to Manchester and must have become a surgeon at the hospital there. 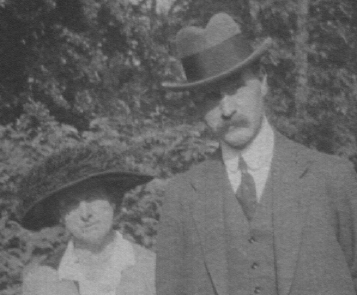 On 22nd July 1886 at St Jerome's Parish Church, Manchester he married Blanche Lilian Jones, born in 1864, the daughter of Thomas Jones a shipping merchant from Liverpool. They were both living at 31 Grafton Street, Manchester at the time. · Lilian (Queenie) Macgregor Yorke, born in 1886 at Manchester. · Winifred Mabel Yorke, born on the 29th January 1891 at 14 Leicester Road, Loughborough, Leicestershire. · William Wakefield Macgregor Yorke, born on the 27th of November 1897 at Vaughan Street, Coalville, Leicestershire. Signed the marriage certificate when "Queenie" married in 1915. He was an Electrical Engineer who died on the 10th March 1926 at 55 Littleton Street West, Walsall. This photo shows Shilton House as it is now. It was then a new house; being built in 1897. 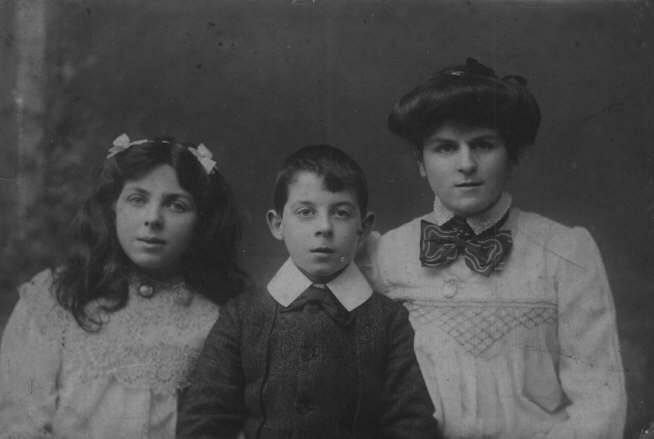 On the right are the three children. His children were specifically excluded for any benefit from the will of Peter Macgregor, who died in 1901. Other grandchildren of James & Annie Yorke were beneficiaries of that will. 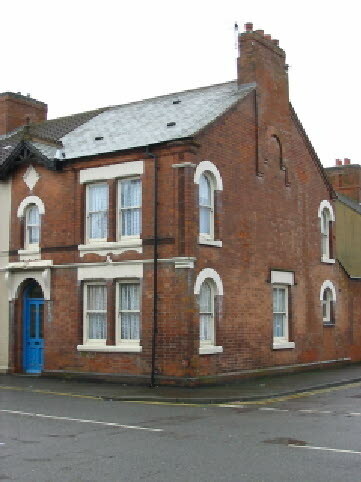 By 1908 the family were living at 14 The Hollow, Earl Shilton, Hinckley, Leicestershire. But on the 8th of June of that year William died, aged only 46 years, of Pulmonary Tuberculosis after 2 years and 8 months of sickness. A Dr Hector Macdonald signed his death certificate. After William died, Lilian moved to The Bungalow, Cliftonville, Margate. She did not stay there long as on the 28th April 1909 she married Hector Kenneth Macdonald (born in 1876 to farmer Alexander Macdonald) at St Georges, Hanover Square. 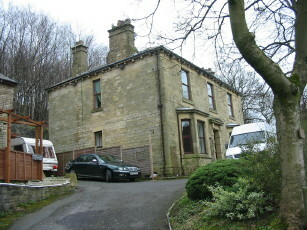 They moved to Stoneley House, Lees Road, Mossley, from where both Queenie and Winifred were married. In 1911 Hector was elected as a Liberal Councillor for the Lancashire Ward of Mossley Town Council; with 410 votes. He was elected unopposed in 1916 and again in 1921 with 719 votes. That seems to have been his last term of office, as he is not listed among Mayors or Freemen of Mossley. During WW1 Hector signed up as a Captain in the Royal Army Medical Corps. He served in France, arriving on the 10th of April 1916 and staying, one assumes until the end of hostilities. 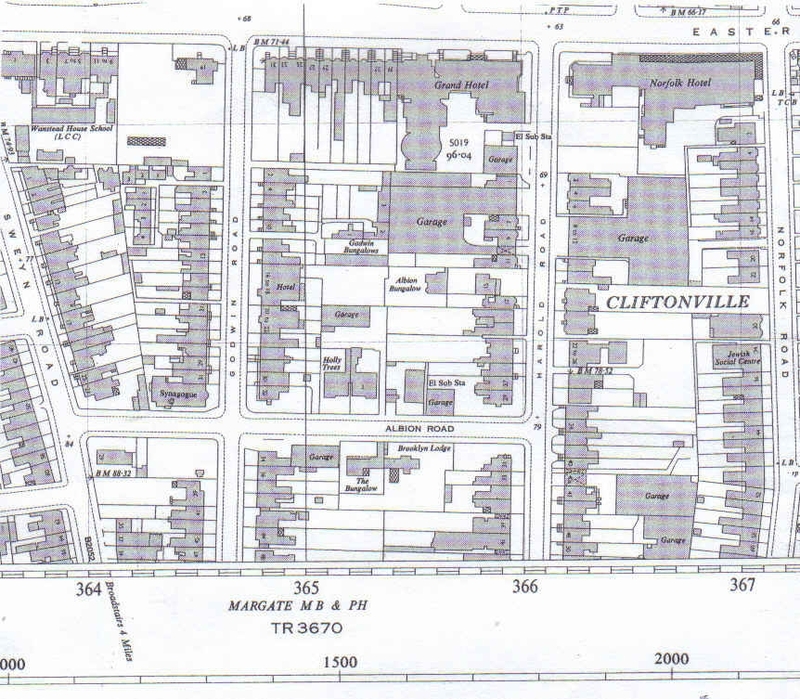 Hector practiced as a doctor and served as a Councillor, he lived at Carville, Carville Road, Mossley. On the 11th of May 1922 when he died of Pneumonia and Heart Failure.